Slatwall racks are considered one of the most versatile shelving system with multitude of accessories and fittings for slat wall. In general, Slatwall fixtures available in the market are made of MDF with combination of Aluminium profiles. 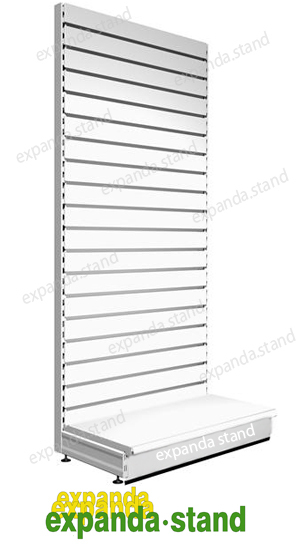 We, at Expanda Stand provide you with modular slat wall panels made of high tensile steel with powder coated finish which can interchangeably be used with any modular retail shelving system constructed with a standard upright pitch of 50mm. 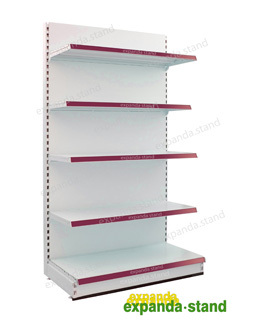 Make use of our modular shelving systems to make your store look unique and updated in the market. Slat wall fixtures are ideal for any commercial store and has applications even at home. 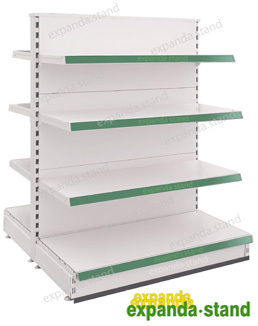 Slatwall racks helps you to display the merchandises in an elegant fashion and also provides effective space utilization. This indirectly boosts your sales. 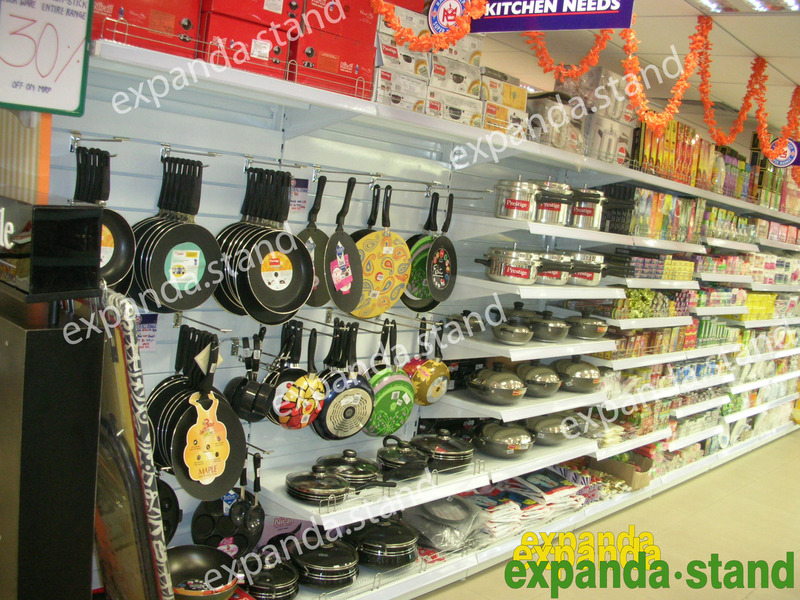 Slatwall fixtures enables you to provide maximum exposure to high value merchandises. Maximum exposure of high value merchandises in an attractive way, means higher revenue. Slatwall fixtures make use of the modularity and helps retailers reorganize the displays without having the need to use any tools. 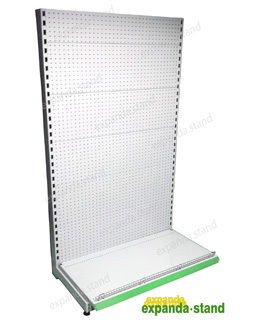 Most importantly, Slatwall fixtures provide the flexibility to reorganize the display of merchandises quickly which ensures the retailers make the store look unique every day. 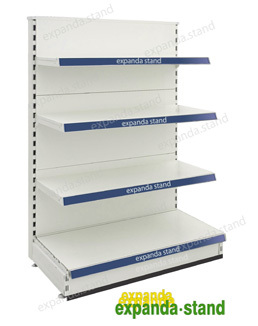 Island racks are used to display products on both sides of racks. 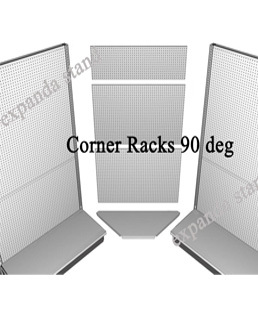 Wall Racks are used near the walls and can go up to height of 3 meters. End racks are placed at the end of the island racks bay. Sorry, there are no current offers on our products, to keep you posted about the promo offers, subscribe by sending email to promo@expandaorg.com with the product category you are interest in. Please fill the form, our Marketing Officer will call you back with details. We are Looking for Dealers, Are you interested? Click here to fill in the form for us to contact you back.